Double-Click on the "Scene" item you want to rename, then type the new name. Click in the Name property field and give a meaningful name to the space. 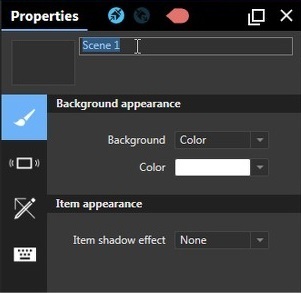 Hit <Enter> or click outside the Name field to confirm (note that the new name is updated in the Scene and Scene Structure panels).